Iran has censured a terrorist attack on a police college in the Pakistani city of Quetta and expressed its readiness to help the country fight terrorist groups. “The Islamic Republic of Iran has always stressed the importance of cooperation in the fight against terrorist groups and expresses its readiness to help the Pakistani government in this regard,” Iranian Foreign Ministry Spokesman Bahram Qassemi said on Tuesday. He urged all countries to engage in a fundamental and serious campaign against the ominous phenomenon of terrorism. The Iranian spokesperson also offered his condolences to the Pakistani government and nation and extended his sympathy to the bereaved families of the victims. At least 61 people were killed and more than 110 others wounded after militants attacked the police college in Quetta in the restive Pakistani province of Balochistan late on Monday. The Takfiri Daesh group on Tuesday claimed responsibility for the attack after authorities said the attackers belonged to a militant group affiliated with the Pakistani Taliban. It was one of the deadliest attacks on Pakistan’s security forces in recent years, sparking a ferocious gunbattle with troops that lasted into early hours Tuesday. According to security officials, the attackers were killed following a four-long-hour siege. Officials said all three assailants were wearing explosive vests while they entered the facility. 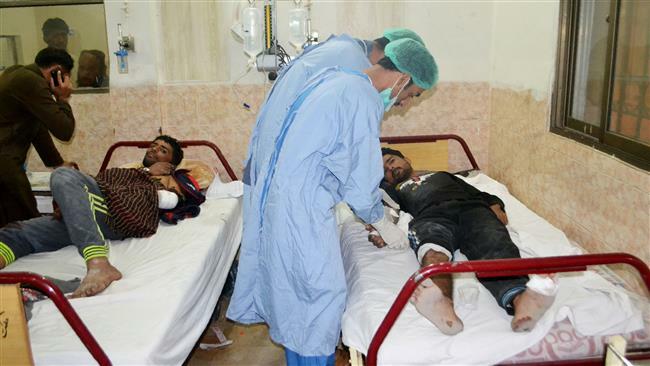 In August, Daesh also claimed responsibility for an attack on a gathering of mourners at a hospital in Quetta that killed 70 people but that attack was also claimed by Pakistani Taliban faction, Jamaat-ul-Ahrar. Pakistan has been battling al-Qaeda-linked terrorists and pro-Taliban militants for years, especially after the US-led invasion in neighboring Afghanistan in 2001 and the subsequent spillover of militancy into the region. In June 2014, the Pakistani army intensified its anti-militancy efforts by deploying some 30,000 troops near the border with Afghanistan to wipe out militant bases in the tribal area and bring an end to the bloody militancy.